JAINA & L. D. Institute of Indology jointly organized the Yoga conferences in Ahmedabad. I, along with, JAINA Past president, Dilip bhai Shah, Secretary Hareshbhai Shah,IT Executive Dhimenbhai Vora attended the event. JAINA delegation will be soon visiting Bidada Sarvodaya Trust in Kutch this weekend for their Mega Eye Camp and will also be participating in the Event. A person with right knowledge does not lose him/herself in this material world. Q 1: Can you name the Bhavanas? Q 2: Can you describe Anitya Bhavana? JAINA & L. D. Institute of Indology jointly organized the second annual conference in Ahmedabad on 17th January, 2018. 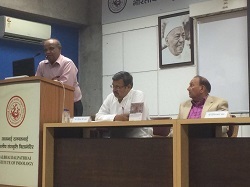 The daylong conference on Jain Yoga was held at the L D Institute of Indology’s auditorium. Acharya Shri Nandighoshsuri, Dr. Sudhir Shah, Mr. Mukesh Shah, Dr. Abhay Doshi and Dr. Jitendera Shah spoke on various aspects of Yoga. The conference was attended by about 200 people including JAINA President Gunvant Shah, Secretary Haresh Shah, Past President Dilip Shah, Chairman of the Pilgrimage Committee Rohit Doshi and many other JAINA members. Five Sadhvijis also attended the conference. 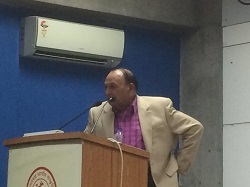 Gunvant Shah and Dilip Shah spoke about various activities of JAINA. Catered lunch was served for the attendees. For 29-year-old Sanket Parekh, a chemical engineer from IIT-Bombay, life was all about targets and achievements. He had a well-paying job and was planning a post-graduation course in the US. But an online chat with his senior changed everything. Now he is one of the 16 people taking diksha in a grand ceremony in Borivali, Mumbai, on January 22. Parekh, who belongs to a Vaishnav family, was initiated into Jainism by his senior from IIT, Bhavik Shah, who also took diksha in 2013. "I was an atheist," said Parekh. "I would have got everything if I had decided to have a career, but my inner self would never have been at peace like it is today," he added. Explaining his move towards Jainism, Parekh said: "I was chatting with Bhavik, who was in Canada doing an internship with the University of Alberta in 2010. Since I was in my final year, it was a normal chat, about what next for us. I don't know how the conversation veered towards the concept of soul. It was the first time I was thinking about soul, mind and body. 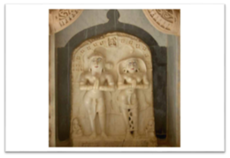 That was the trigger and I went deeper with my search and began reading more about Jainism." Now, Parekh will leave behind all his gadgets, including the computer he used to chat with his friend. Parekh didn't divulge his last drawn salary as many of the perks he was getting were not part of his salary, but said he was paying income tax of Rs 12 lakh per annum. His father passed away a few years ago, and he calls his mother and an elder sister who is married family. "It was hard to convince my mother initially. But when I told her that this is the only path that will make me happy, she relented," said Parekh, dressed in a sherwani. He studied for two and a half years under Acharya Yugbhushansurji to learn rituals and other basics. Parekh along with 15 other Diksharthis will renounce the world on January 22, 2018. A BIG thank you to all who are following JAINA on social media and showing their love. 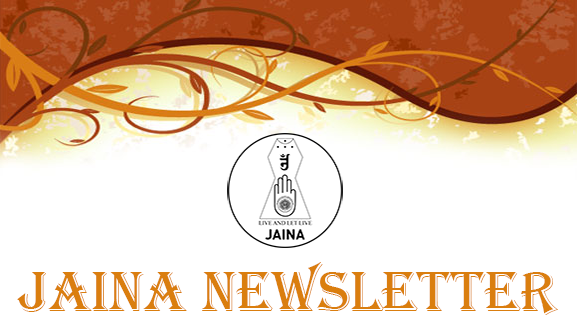 Through social media we try to keep you updated with all Jain news, religious articles/videos and other updates. 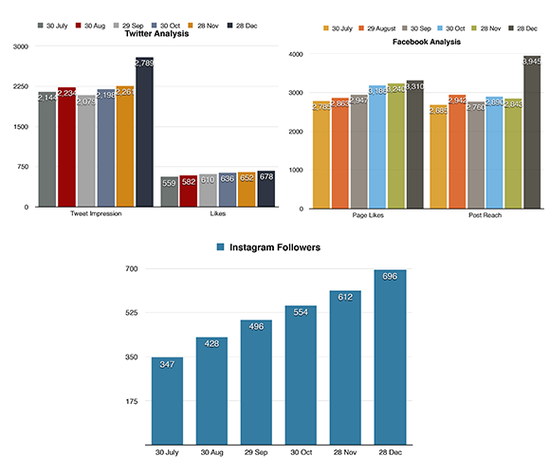 Please look at the progress report of last six months and keep showing us your love. This temple is dedicated to the virtuous. This is the statue of Vijay Seth and his wife. Inadvertently, before having met, both had taken a vow to remain celibate - Vijay Seth for the first half of the month and his wife the second half. After they were married, they realized their predicament but both decided to remain celibate their entire life. Saints and laymen alike salute their virtuousness and resolve. With a great success of our past two Workshops conducted in Raleigh, NC in October and December 2017, Jain Society Greater Atlanta and JAINA Education Committee have jointly organized the Jain workshop from Friday March 2, 2018 to Sunday March 4, 2018. Striking a Balance - Examining Social, Cultural, and Spiritual environment that our youth face while growing up in North America. Once, there was a lion living in the forest. One day, a thorn got stuck in his paw. He tried his best to pull it out, but he could not pull it. The lion went with difficulty to a sheep boy. The sheep boy was afraid to see the lion coming towards him, but he did not run away and sat there quietly. The lion did not roar but sat quietly near the sheep boy and put his paw in front of him. He saw the thorn in his paw and pulled it out. The lion went quietly towards the forest. After some time, there was a theft in the King's palace. Some enemies of the sheep boy said to the king that he was the thief. Hearing this, the King became very angry and ordered the sheep boy's house to be searched. They did not find any stolen things in his house. The King thought that he had hidden the stolen things somewhere else. Therefore, he ordered to put him alive before a lion. When the sheep boy was thrown before the lion, it sat still. The sheep boy recognized it immediately. It was the same lion that had come to him. The king was very surprised when he came to know of the lion's gratefulness to the sheep boy. Then the king ordered the sheep boy to be set free. A fierce animal, like the lion, never forgets the good deed done to it. But the human beings who forget the good done to them are worse than animals. A 2: Anitya Bhavana means thinking about the transitory nature of things around us. All things of the worldly life are perishable; and nothing is permanent. It is fruitless to mourn over the loss of perishable, and we should not lose our mental peace and emotional poise over them. Therefore, when someone dear to us dies or when we lose something then we should think that in this world, the body, wealth, family, relatives, and status, etc., are transient, and we will not feel so bad. You have received this email because you are currently subscribed to receive general correspondence. http://www.jaina.org/members/EmailOptPreferences.aspx?id=17945095&e=editors@herenow4u.de&h=af1e64e903bd5708a04eb2de5178e94cd7ebdcce if you no longer wish to receive these communications.